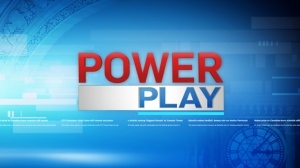 Environment and Climate Change Minister Catherine McKenna says the federal government will sidestep Ontario Premier Doug Ford and directly prop up businesses and industries that are taking environmental action in the province. “Naturally we would have hoped to work directly with the provincial government on fighting pollution and tackling climate change, but Premier Ford and his government took a different path,” McKenna said on Thursday morning. A fund that would normally directly benefit the provincial government is instead being opened to businesses and industries in Ontario to support their environmental efforts. The Low Carbon Economy Fund provides $1.4 billion to provinces and territories that have adopted the federal climate change framework. With Ontario pushing back against the federal plan, McKenna has decided to go over Ford’s head. “This is an opportunity to work directly with Ontarians, ensure all the money committed goes directly to support Ontario organizations and businesses,” McKenna said. 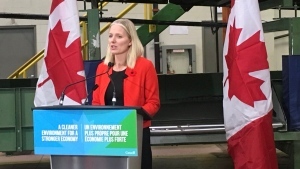 When pressed on how this move could be perceived – especially given the provincial pushback against the federally imposed carbon tax, McKenna said her priorities lie elsewhere. “What we’re concerned about is the impacts of climate change that we’re seeing across the country,” she said. A coalition has been forming among Conservative leadership, which includes Conservative Leader Andrew Scheer, Saskatchewan Premier Scott Moe and Alberta Opposition Leader Jason Kenney, to fight the federal carbon tax. In a statement provided to CTV News on Thursday afternoon, Ontario Environment Minister Rod Phillips called out McKenna for going behind the province’s back. “This morning, the federal minister of the environment announced her intention to circumvent our province and the people of Ontario,” Phillips said. He said that the cancellation of cap-and-trade was the province delivering on a promise. He went on to accuse Prime Minister Justin Trudeau of refusing to communicate with Ontario about the province’s environmental plan. “They are not interested in a plan, they are interested in a tax,” Phillips said, referring to the federal carbon tax. In a statement, the office of Saskatchewan Premier Scott Moe – who is a vocal opponent of the federal carbon tax – also weighed in on the feds’ latest move. “This announcement from the federal government demonstrates the piecemeal approach they have taken that we believe is unconstitutional,” the statement said. His office said the government is deploying similar tactics in Saskatchewan. The statement said the federal government is giving Saskatchewan’s funds, pledged under the Low Carbon Economy Fund, directly to Saskatchewan-based projects. The province will have no input, according to Moe’s office, and these projects will have to compete with other projects across Canada for the funds. “Despite having a comprehensive climate change strategy…the federal government still refuses to provide these dollars equitably to the province of Saskatchewan,” the statement said. The condemnation comes as yet another expression of mutual scorn towards the federal government from like-minded provinces. This federal-provincial divide will face another hurdle in mid-February, when Saskatchewan's constitutional reference case regarding the federal carbon tax will be heard by the Saskatchewan Court of Appeal.